Pilton Cinema brought to reality the idea of Pip Cartmell for a Community Cinema in the heart of Pilton. A grant from Awards for All towards the projector, plus contributions from the Big Pilton Quiz, the Discos and Bingo held in the Hall plus money from Pilton Church Hall Committee helped it open in early 2012.
usually cost £99/film, hence the need to charge for entry. It is normally a 'last Friday of the month' event with films of many different genres including comedy, drama, silent, thriller, musical, foreign language and more. The Hall can seat 100 people who will be able to watch a cinema quality projection on comfortable chairs. 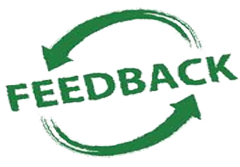 Please feedback your ideas and tell us what you would like to see by going to our Feedback form. Contact us through the Contact page if you would like us to send you an email reminder. And if you would like to find out more about films and the film industry follow this link to the icons of a number of organisations on the Links Page of the website. The Hall is also the home of Pilton Church Office giving the Church the chance of better contact with the Community. 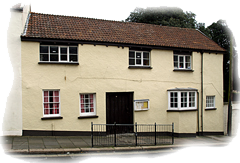 Rooms in Pilton Church Hall are available for hire at very reasonable rates. Contact Church Administrator Helen on 01271 345649. If Helen is not available (she only works a limited number of hours), please leave a message with your name and contact details or e-mail her on piltonparish@gmail.com. Click on the images above to watch the trailer. The Cinema evening is run by a very small group led by Pip Cartmell. If you would like to volunteer and get involved in the event by designing and putting up the posters, selling tickets, choosing the films, ushering, or being projectionist, do contact Pip by email on piltoncinema@gmail.com or by calling 01271 378168.